When does the taxpayer say enough? Fourteen years ago, when our family moved to our summer house full time, I was on a committee, with other Residents for a Free Westhampton Free Library, to get a playground/recreation center into WH/WHB. The Town of Southampton attended a few meetings. Things looked promising. They said one probable project was the renovation of the “rec center” on Mill Road by 7-11. The Village of WHB erected a playground sometime during those 14 years, and the Mill Road structure is abandoned. My family also donated a good deal of money to a swimming pool center. That wasn’t built either. 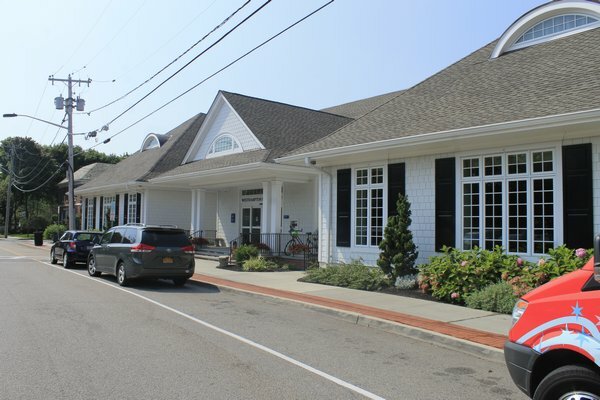 Now to the Westhampton Free Library. I love my Library, mostly because of the people who work there. The budget passed, and I’m not sure if people aren’t informed, just don’t care, or are okay with their taxes increasing year after year under an unelected Board of Trustees who have the ultimate say in how our money is spent. The Board of Appointed Trustees accumulated more than $4 million dollars, liquid. $1.3 million of that is the Ann Skovek donation to be used for Building Expansion. The remaining dollars are nearly $3 million accumulated tax dollars. $1 million is earmarked for Land Acquisition for a parking lot, over $623,000 is specified to be used for Re-design of the Interior Space, another $100,000 is for the HVAC system. The building is not yet 6 years old. (This information is on the Library’s website in the 11/18/15 meeting minutes.) Since the budget passed, the Library has been given more money. In addition, the Board set aside nearly $150,000 to Market our non-profit Library, and $150,000 for a Legal Fund. This is a library, not a community center. We already pay taxes to the Town of Southampton. Hampton Bays has Red Creek and Squiretown Parks, North Sea has a skatepark, Southampton has SYS, etc. What does WH/WHB have from the Town of Southampton? When our HS considered lights on the field as well as installing turf, the decision was put out to the community via a vote. Guess what? Though our Library is funded by tax dollars, it is a “private corporation” and the 7 unelected trustees decide how to spend our accumulated tax surplus. So we’ll have a community center. I’d rather the money be used for world class speakers. Rent out PAC or the HS auditorium. Or for other things. Anyway, I’d like to hear from candidates what they’d like to do with our money if we subjects are ever granted trustee elections by the Appointed Board of our Library Kingdom. Half the huge attic will be the new Teen Room. Do an informal poll. How many of our teenagers actually spend time in the Library? Not many at all. Maybe it’s a “build it and they may come” mentality. The present Teen Room will become the DVD Room. Where the DVDs are now there will be more seating after the “interior re-design”. One quarter of the attic will house Children’s Department desks, the remaining quarter of the attic will stay as storage. At least that’s what the last Appointed Board of Trustees was talking about. Let’s hear from the community though. That’d be a novelty! When do we say enough? I did that with my vote of no for the Library budget. I don’t care if the increase was $5 or $50. Why do you need more? You have an extra $4 million. I didn’t sign on for a community center. We already have a brand new library.